Thinking of getting a Great Pyrenees? This breed‘s goal in life is to protect sheep, goats, livestock, people, children, grass, flowers, the moon, the lawn furniture... well you get the idea. Here's everything you need to know about the Great Pyrenees. Dogs & Loud Noises… Are Ear Plugs Necessary? Dogs at drag racing events and other loud sporting events like hunting need ear protection. Here are some ideas for protecting your dog’s ears from damaging loud noises. These might even work well for fireworks! QUICK POLL: Big Dog or Little Dog? Male Dog or Female Dog? A quick question: Have you mostly had little female dogs? Little male dogs? Big female dogs? Or big male dogs? Or, have you had a little bit of everything, in which case ‘Both sizes’ or ‘Both genders’ would be the appropriate answer. I’m simply wondering what most people’s preferences are when it comes to choosing a dog and if they notice any obvious trends in those choices. The command ‘Toes’ helps whenever you need to clean muddy paws after your dog has been playing outside. Or, when you need to dry off wet paws after a bath. Or, when you want to trim your dog’s toenails! 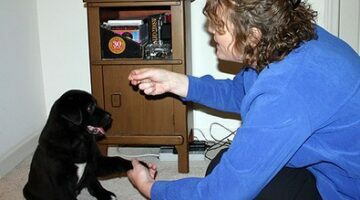 Here’s how to teach your dog to give you his toes — on command. Sometimes we call it brotherly love… or ring-around-the-rosie, or just a fun game of tag… These are pictures of my two dogs, Jersey and Tenor, which make me laugh EVERY time I view them! The little guy, Tenor, is repeatedly taunting the ‘old man’, Jersey. But I’m convinced he only did it because he loved Jersey’s white, fluffy fur so much. My dog just turned a year old and he’s STILL not lifting his leg to pee. Yep, he squats like girl!… Now what’s with that??? 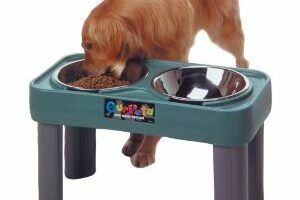 I purchased a raised dog food feeder for our dogs. Here’s why I did… and why I recommend that you do, too. 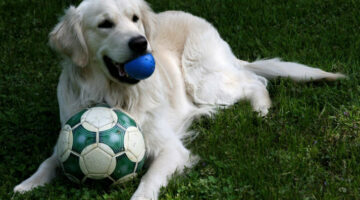 What do you do when your dog loves to play with a ball, but he won’t give the ball up in a game of catch? Here’s a quick trick… Works every time! Make Your Own Dog Magazine Cover! Make a realistic looking magazine cover featuring a picture of your dog! It’s fast. It’s free. It’s easy to do yourself online! This was the day after we brought Tenor home, at about 8 weeks of age. Here’s an update on our new puppy, now 4 months old. He’s a black lab-great pyrenees mix. Here are a ton of pictures of the puppy (Tenor), and his big brother, Destin — also a black lab mix. From birth to old age, here’s everything you could want to know about our three dogs: an American Eskimo dog, a Golden Retriever-Black Lab mix, and a Great Pyrenees-Black Lab mix. 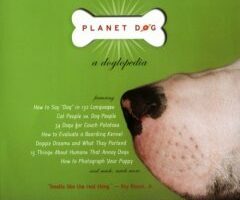 How & when we got them, what each breed’s temperament is like, and what each of their likes and dislikes are. Dog Is Too Protective… Is It A Case Of Dog Aggression? What should you do when an overly protective older dog goes too far in his role as Alpha dog? Sometimes the leader of the pack needs to learn a few things himself! 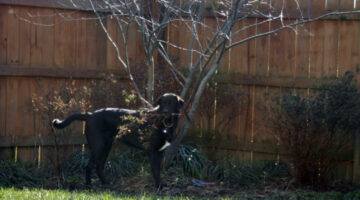 Pictures and details about how we got our newest puppy — a Great Pyrenees/Black Lab mix. He was a Christmas puppy.